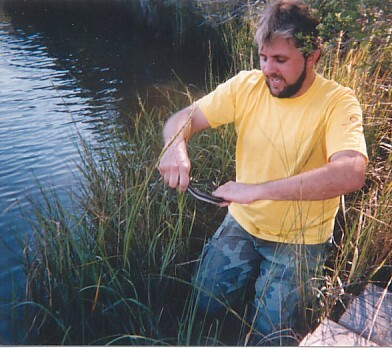 As the founder of the Northwest Florida Environmental Conservancy, I am extremely dedicated to natural history and would like to provide a bit of my personal background. 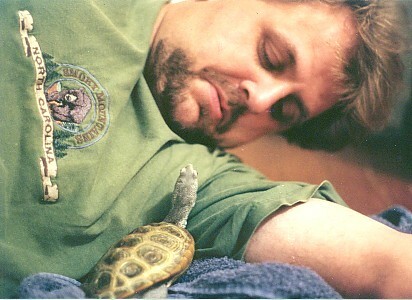 I’ve been seriously involved in the fields of ecology, herpetology, conservation and environmental education since 1982. At age 45, I’m now in the 29th year of my lifelong dedication to these fields! in Panama City, FL. interviewing Karl. 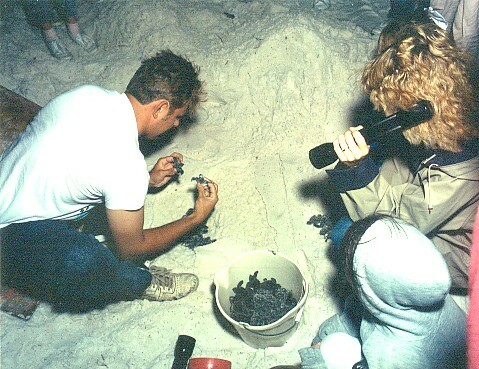 Karl is showing Jason an Orb-weaver spider! 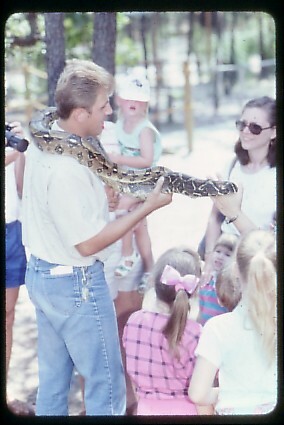 at the Gulf Breeze Zoo. 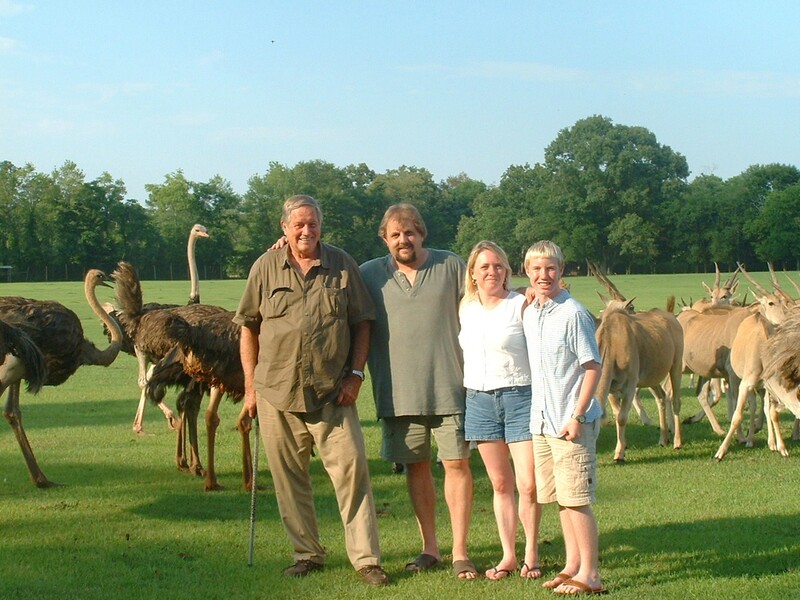 Karl, Sandi and Justin - spending a summer day in 2006 with Jim Fowler at his private wildlife preserve! Jim Fowler was the co-host and host of Mutual of Omaha's Wild Kingdom for many years. It was an awesome day! In June of 1984 I graduated from East Hardin High School, in Glendale, KY. On October 1st, 1984 I enlisted in the U.S. Air Force and served on active duty for five years and four months, and was honorably discharged in January, 1990. 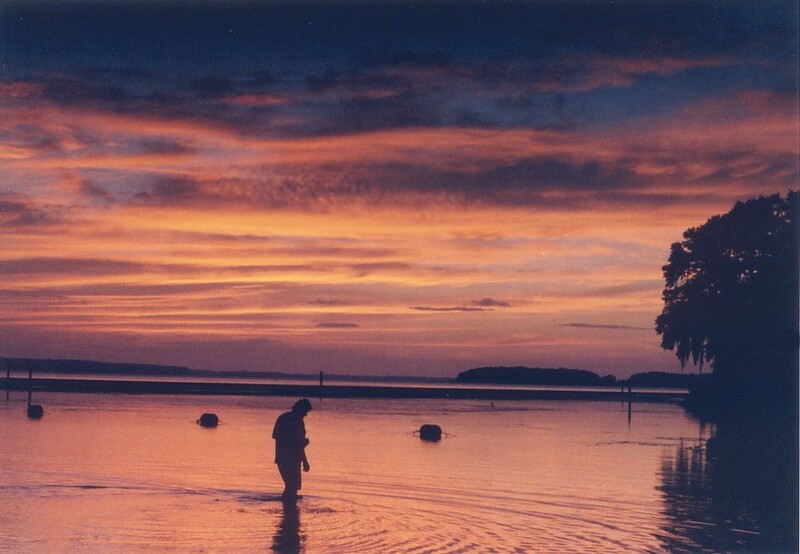 While serving in the Air Force, I was the only enlisted personnel ever to be released from active duty to work for the Eglin AFB, FL Natural Resources Branch for the last six months of my service. 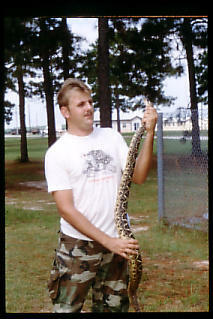 I then served eight months in the Air Force inactive reserves, and I remained in north Florida while conducting various natural history research and working towards my undergraduate degree. (Myotis austroriparius), in a Jackson Co., FL cave. I attended Santa Fe Community College in Gainesville, FL for two semesters and Chipola Junior College in Marianna, FL for one and a half years. I completed my bachelor’s degree at the University of Mobile, in Mobile, AL in 1999, obtaining a B.S. degree, with double majors in Natural Sciences and Humanities (Philosophy and religion concentrations). 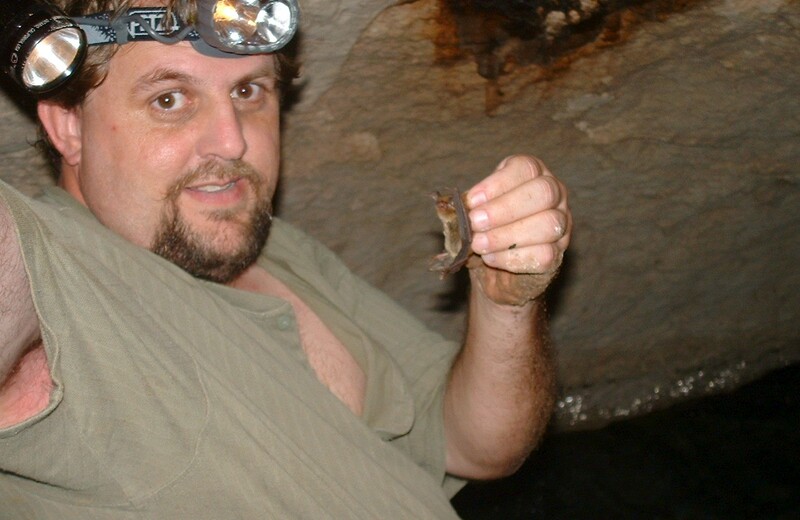 I am currently pursuing a Master’s of Science degree in Environmental Science at Columbus State University, GA, and have completed 15 of 36 hours (9 class hours, 6 hours thesis field research on Florida Bats in Bridges). 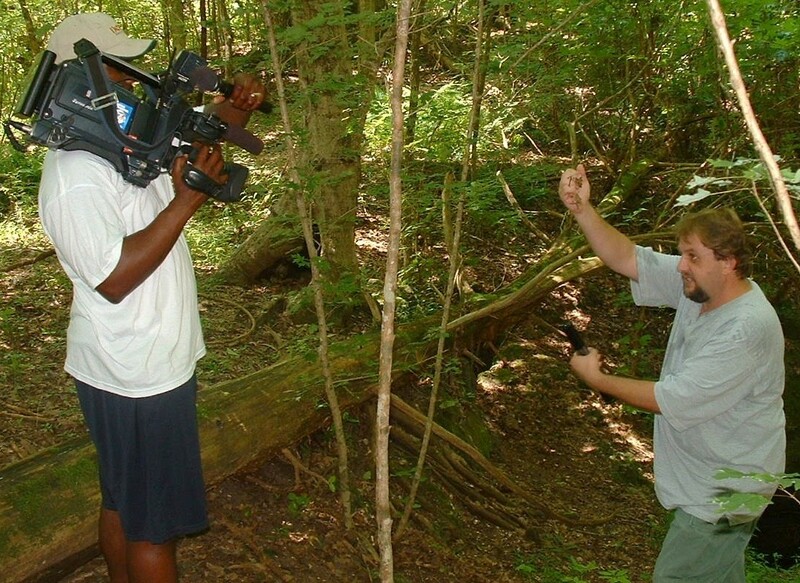 In my career, I’ve conducted or assisted in around 40 ecological research projects, for nearly 20 private, State and Federal organizations. I have also written or published over 50 natural history, scientific articles or reports. 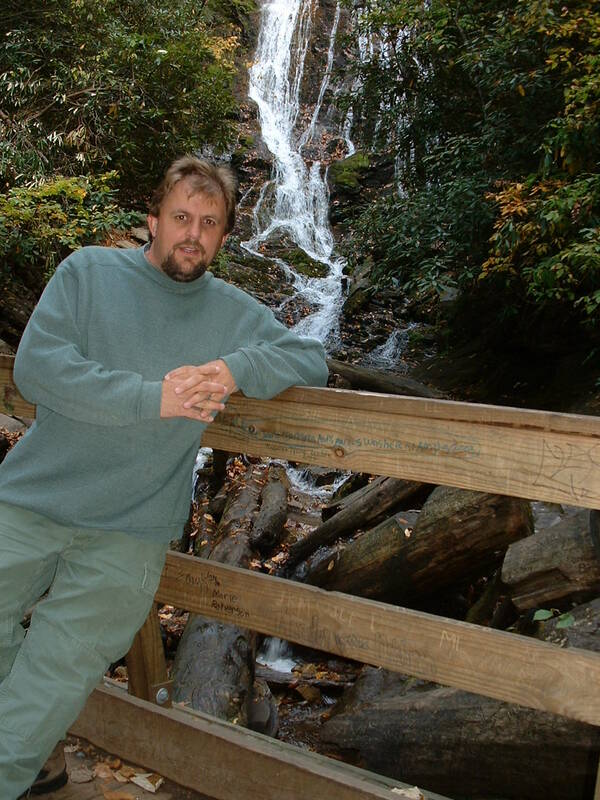 Additionally, I have given about 400 natural history presentations and lectures and appeared on or hosted eleven television programs about wildlife and the environment. 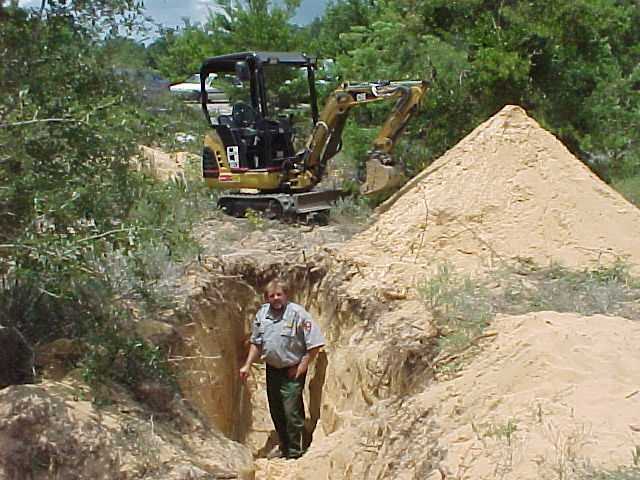 In 2009 and 2010 I am working as an AmeriCorps Member in Florida State Parks, in the Pensacola area. Through AmeriCorps I am conducting extensive environmental education programs, community service projects, ecological research and inventories, and resource management projects. Simply, I am extremely dedicated and determined to make a positive difference concerning the incredible and awesome natural history of the northern Gulf Coast, while helping children, adults and the region too!